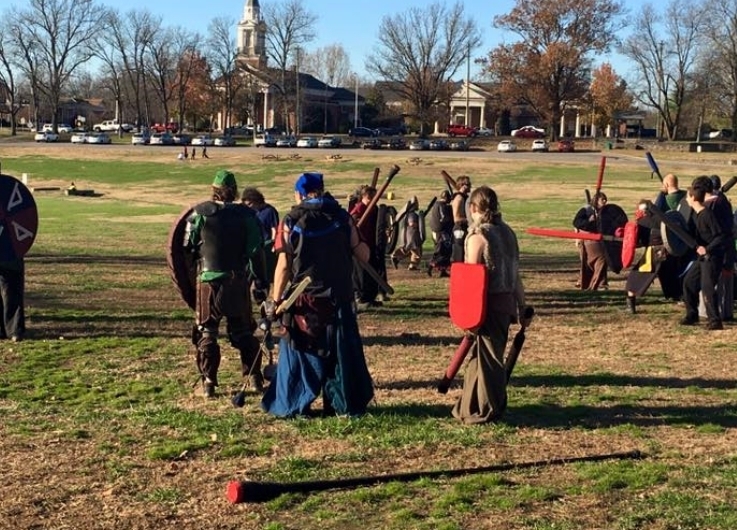 Come be a part of the battles in Elmington Park minutes outside of downtown Nashville, or find a group closest to you! Dur Demarion meets on Sunday at noon, and we fight until dark. The organization is free, and all are welcome, whether it be to watch, talk, or de-stress by smacking someone with a sword. Pick a spot on the lawn to watch the epic assault or fill out a waiver and jump into the fight! Foam fighting is not LARPing. Your abilities are the ones you bring with you. Dur Demarion is a part of Belegarth (BEL-la-garth, which means "Great Realms" in J.R.R. Tolkien's Sindarin language). 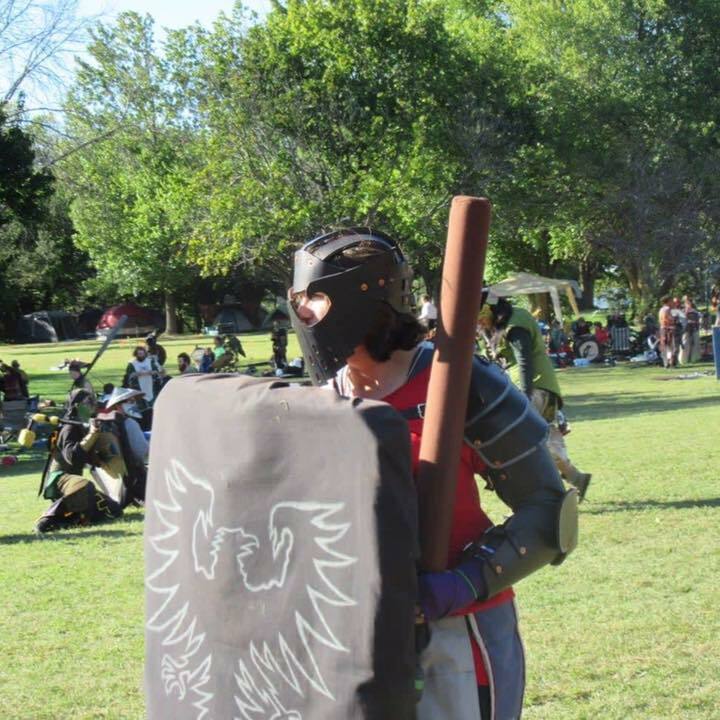 It is a medieval/fantasy foam fighting sport. There are different levels of play: there are gatherings where a lot of people play at once, and there are small groups and teams that intermingle with other groups. But most importantly, Belegarth is a semi-competitive sport where participants can strive to just enjoy playing with others or work at being physically and mentally the best fighter they can be. There are many ways to play, we have small events every weekend and many overnight and camping events throughout the year. Belegarth participants are also not required to roleplay, although it is certainly encouraged. 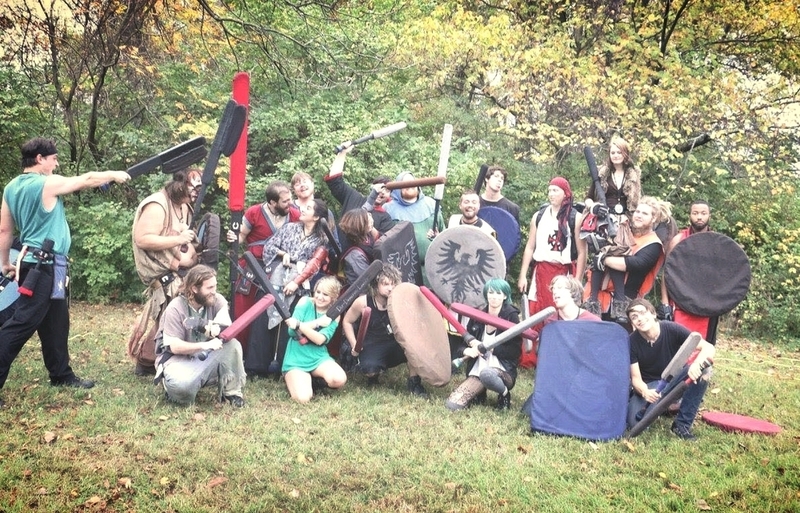 Many foam combat groups have races, classes, magic and roleplaying integrated into the gameplay. Belegarth's combat system is focused entirely on just that: combat. If you choose to roleplay, your character is limited only by your imagination; we have no rules regarding roleplaying and no combat advantages are given. Only hits to the torso, arms and legs count with melee weapons. Soft foam arrows and javelins can hit the head. Foam rocks only cause damage if they hit the head. If your arm is hit, you put that arm behind your back. If your leg is hit, you go down on one knee. If your torso is hit, your out. Armor can cover parts of your body and give 1 extra hit of protection. Create a persona character for yourself, pick a name, add a back story, start dressing like your character and have fun.